The FAG Control 900 was the biggest letterpress proofpress FAG ever built. Its antecessors were the FAG Control 800, FAG Control 835 and the FAG Control 839 (As with all models, the number means the width of the pressbed) which were slightly smaller models. With every revised version FAG sized this press a bit up until in 1968 they built the Control 900 for the first time. FAG Control 900 from a Chinese Catalog from the late 60ies. 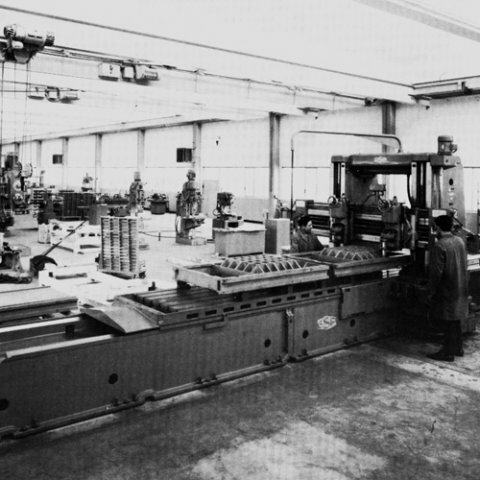 Pressbed milling process for a FAG Control 900 in the manufactury in the late 1960ies in Avenches, Switzerland. 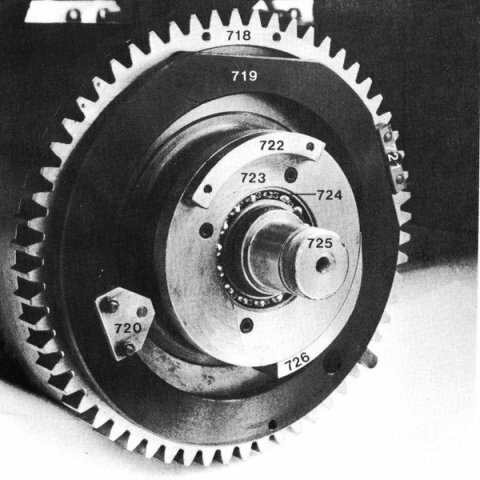 The massive cylinder and gears of a FAG Control 900. From a spare parts catalog from the late 1960ies. For its size, the FAG Control 900 only came with power driven cylinder and only with a fixed pressbed. Another very important difference to the smaller models was that with the FAG Control 900 will print in landscape format – means that the grippers will hold the sheet on the longer (!) side. This press was not only the biggest letterpress proofpress FAG ever built, but also the heaviest. 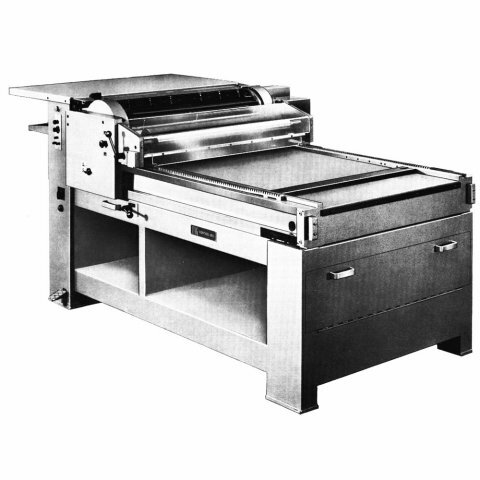 The heavy machine bed (about 1'000kg) with the underside stress is designed to guarantee maximum printing strength. This bed, together with the heavy closed printing cylinder (about 500kg) and full length axle which will not deflect under the heaviest pressure, form an association of lasting accuracy and precision.